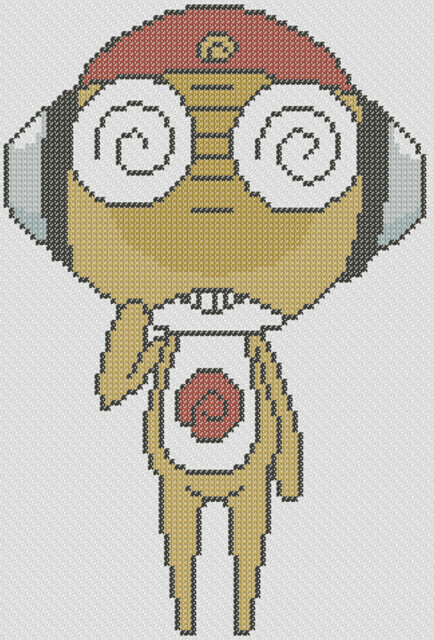 This is our free anime cross stitch to print called Kururu, the mischievous yellow Keronian and the brains of the Keroro platoon. This pattern is quite a sizeable design (more than 30 cm), which means that we recommend this chart for cross stitch blankets and other projects of such size. Get this free anime cross stitch to print zipped file (approx. 383kb — downloaded 163 times). The password for this download is “crossstitch4free” without the quotation marks.